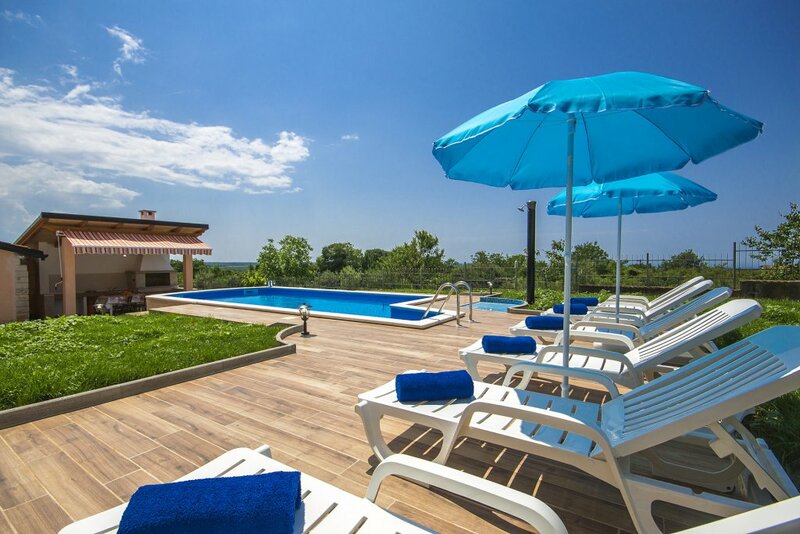 Casa Diana is a holiday home in Kastelir, only 10 km from the beach and the Lanterna holiday resort, with many entertainment offers. The same distance is to the city Porec with several ancient Roman streets and beautiful attractions, restaurants, cafes and street performers. Casa Diana is simply furnished but the large balcony offers a wonderful sea view. 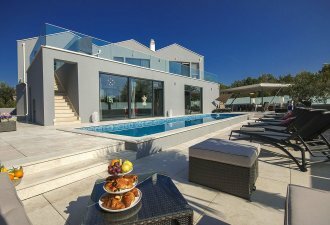 A new pool and a beautiful covered summer kitchen with fireplace and seating set for relaxing evenings was built in 2018. The garden is well-maintained, and two parking spaces are available to the guests. Near the house there is a shop, post office and a restaurant. The homeowner lives in the other half of the house with separate entrance and private parking, so guests enjoy their full privacy. Holiday home for 6 persons of 100 sqm on one floor. It consists of an air-conditioned living room with exit to the large balcony, dining room, equipped kitchen, three bedrooms with double bed, bathroom and a separate toilet. Youth groups are strictly forbidden!